PromptSmart and How it works? Teleprompters are famous with all the people who are involved in effusion of words in conferences, business presentations, elocutions, wedding toasts, class lectures and what not. The device helps the speaker in check with the course of words so they can stick on to what to say next in a big sheet of speech by highlighting that, mostly time-based, ensuring that the speaker doesn’t have to search for the text or fumble with words. While buying a new device to guide through talking sounds posh, what is the solution to those of you who do not want to buy a separate device for this or delivering just a onetime speech and are unable to borrow this device for a day? That’s when an App appears into the picture. 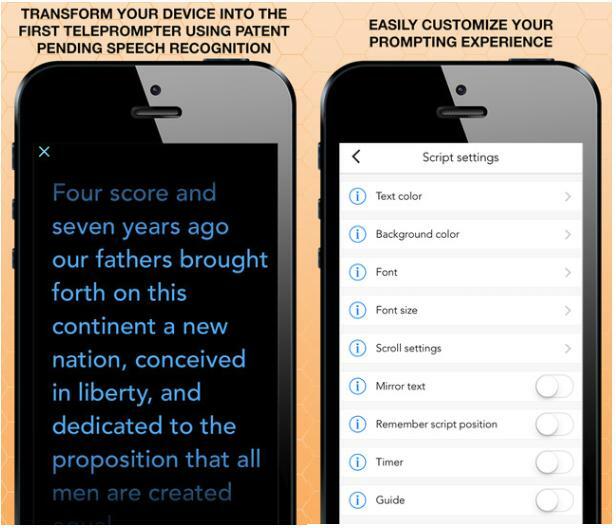 PromptSmart is used to behave as a teleprompter and save the words of many. 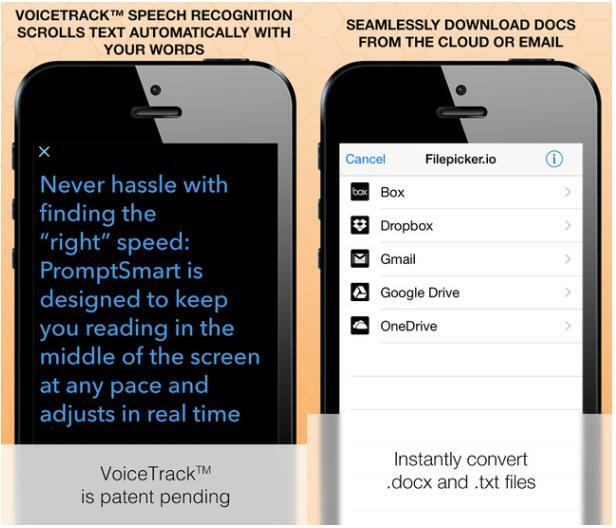 Currently for iOS at a price of USD 9.99, this App can use voice recognition to give cues instead of the traditional time-based system. Firstly, the user needs to upload the source of the script. The App supports .txt and .docx formats. This can also be retrieved from any of the cloud services like Box, Dropbox, EverNote, Gmail, Google Drive and OneDrive. When the user is speaking, the App highlights the current location of the text to keep track, much like the work of a teleprompter, like I mentioned before. It’s unique in that there are three modes. The first mode is manually scrolling across the document to highlight what you’re speaking. In my opinion, this is sheer waste if you’re investing in this App for a good speech delivering experience, especially when you have more efficient alternative modes. However, this is a backup mode in case the other two do not suit your needs in certain circumstances. The second mode is of the conventional teleprompter, where the user can set a words-per-minute speed. This ensures that the App automatically scrolls in that speed. This may not always be convenient because the speaker may want to make pauses for breath or an intervention. Sometimes, it is also the case that speakers may suddenly ramble from the predetermined text to add a point that they suddenly thought would sound good or prove a point. In such cases, the second mode is not much of a help. The third mode is the innovate part of the App. It uses voice recognition system to determine where the speaker in the script. If the user suddenly has to ramble from the actual script, he can do it. The App prompts back to where he left. Additional features include a document editor that allows you to edit speeches in the last minute or format the text so it can look better. Another feature is recording. The user can record the speech, prior to the actual for rehearsal or during the final delivery as a souvenir. The App has enumerated a lot of guidelines to bring the best out of the app which can be read from the app’s official website. Photo Credits: PromptSmart/iTunes App page.